New device for makers who want to build their own smart home system. Sonoff SV is a low voltage switch. The low voltage light switch supports 5-24V power supply. Power supply separation enables it to control both AC and DC power, although some welding is required for this purpose. It has GIPO reserved to support secondary development. This product does not have 433 RF function and shell. Sonoff SV low voltage WiFi switch is an affordable device that provides customers with smart home control. The low voltage WiFi switch is a WiFi based wireless switch that can connect to a wide range of appliances. Sonoff SV low voltage remote switch transmits data to a cloud platform through the WiFi router, which enables customers to remotely control all the connected appliances, via the mobile application eWeLink. The cloud server of Sonoff SV is Amazon AWS global server. Sonoff SV low voltage wireless remote switch makes all home appliances smart. As long as the mobile has network, customers can remotely control the appliances by turning them on off from anywhere at any time. 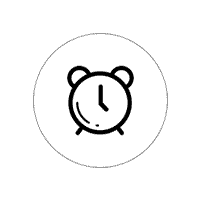 Another feature available is to set timing schedules for the appliances, which can include countdown, scheduled on/off, and can thus, help customers maintain an easy life. The mobile application eWeLink enables customers to control the appliances easily. The iOS version of the application can be downloaded in App Store while the Android version in Google Play. This product works with Amazon Alexa. You can ask Alexa to control the device with the following voice commands. Please note that only US/UK English and German voice commands are supported now. Hi, welcome to use Sonoff SV! 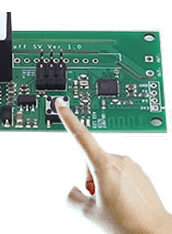 Sonoff SV is a low power supply Sonoff version, which supports 5-24V input. Search “eWeLink” in APP Store for iOS version or Google play for Android version. 2. Schematic diagram of equipment installation. In default mode, it can be powered up with 5V-24V DC, or 5V DC. You may change the device to isolated mode, two resistors must be removed first. 2. Press the button for 7 seconds until the green LED fast blinks. Go to eWeLink, click “+”. If the led blinks like this: please select Quick Pairing Mode (TOUCH), tap Next. a. If the device firmware is 1.6.0 or higher, please select Quick Pairing Mode (TOUCH). Otherwise, it will fail to add the device. Click Next. b. 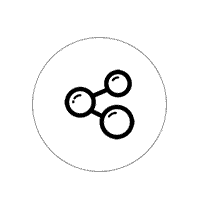 If the firmware of above models is lower than 1.6.0, please select Compatible Pairing Mode (AP) icon, click Next. iOS users should go to Phone Setting>WiFi>connect the WiFi begins with ITEAD-******, enter default password 12345678. Go back to eWeLink, click next. 3. It will auto-search and connect smart home device. 4.1 If no password, keep it blank. 4.2 Now eWeLink only support 2.4G WiFi communication protocol, 5G-WiFi is not supported. 5. Next, eWelink register and add it to your account，it takes 1-3 minutes. When this complete, you can give your device a name. 6. Name the device to complete. Maybe the device is “Offline” on eWeLink, for the device needs 1 minute to connect to your router and server. When the green LED on, the device is “Online”, if eWeLink shows still “Offline”, please close eWeLink and re-open. Turn on/off by tapping on device icon. Device state always simultaneous display on APP. 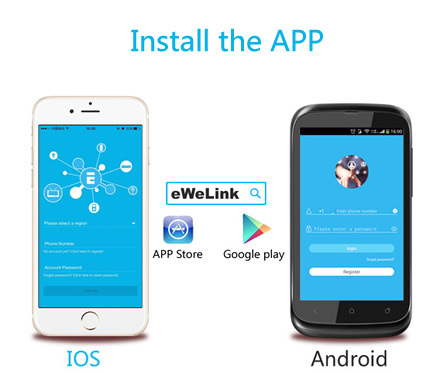 The owner can share the devices to other eWeLink accounts. While sharing devices, both should stay online on eWeLink. Because if the account you want to share is not online, he/she will not receive the invitation message. How to make it possible? Firstly click Share, input the eWeLink account (phone number or email address) you want to share, tick the timer permissions (edit/delete/change/enable) you want to give, then click Next. The other account will receive an invitation message. Click Accept, the device has shared successfully. The other user will have access to control the device. Support max 8 enabled single/repeat/countdown timing schedules each device. Scene allows triggering on/off your devices automatically. Scene Settings is in the upper right corner of Device List. You can set up scenes or smart scenes to trigger on/off the Sonoff SV. Users should select “Click to execute” in the condition, add different existing devices, name the scene and save it. Read the detailed FAQ on Itead Smart Home Forum. If below answers can’t solve your problem, please submit a feedback on eWeLink. 1. My device has added successfully but stays “Offline”. 1.1. 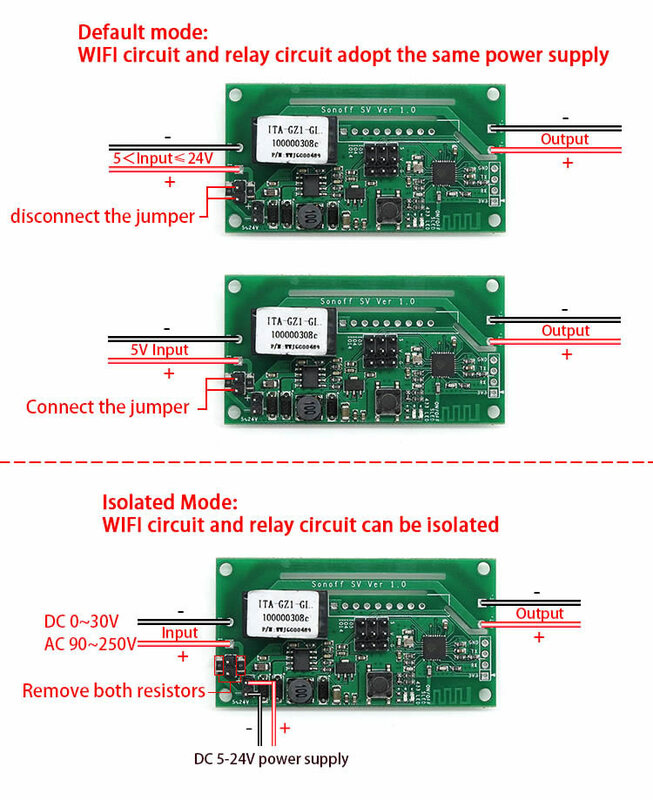 Green led quickly blinks one time and repeats, which means device failed to connect to the router. The reason may be you have entered wrong WiFi password or your device is too far away from the router, which causes a weak WiFi signal. The device can not be added to the 5G-wifi-router, only the 2.4G-wifi is OK. At last, make sure that your router is MAC-open. 1.2. Green led slowly blinks one time and repeats, which means the device has connected to router and server but failed to be added to the device list. Then power on the device again, if it still not working, just add the device again. 1.3. Green led quickly blinks twice and repeats, this means the device has connected to the router but failed to connect to the server. Then please confirm your WiFi router works normally. 2. Why the APP can’t find the device in pairing status? Answers: That’s because of your phone’s cache. Please close the WLAN of your phone then open it after a minute. At the same time, please power off the device if you can, then power up to try again. 3. My WiFi is expired, can I connect the devices to LAN? Answers: the Sonoff SV supports to be controlled by LAN(Update in 15/10/2017, LAN function has been stopped).